Help me, Junior, I need to spread the word. And the word is: The Shoot Off is still ON! 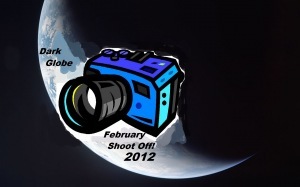 This is a reminder that The 2012 Dark Globe February Shoot Off is still ON but ends THIS Friday (2/10/12). Click here to get all the details. Some great photos have already been submitted, but that doesn’t mean there aren’t more out there waiting to be enjoyed. I just want all you people who are so creative behind the lens to show your artistry and get recognized. Since I’m a judge, I can’t submit any of my stultifying…stunning photography in the contest, so I thought I would show you some of my recent “work” to both inspire you and assure you that your photographic talents are, indeed, a gift–one that passed some of us over. I just wanted a nice picture of Scrappy after I brushed him. Scrappy doesn't like to be brushed. Can you tell? Submissions began on 2/1/12 at Dark Globe’s site and end FRIDAY 2/10/12. There are three categories (themes) for submissions: Hope, People at Work, and Broken. You can submit one (1) photo per category. You can submit to more than one category (meaning two or three), but you can only win in one category (meaning one), thus spreading the awards out. All three winners will be announced on 2/15/12 after we judges have dueled…deliberated and decided. Each winner will receive bragging rights and a fancy graphic to paste proudly on her/his site. A 4th category of winner was created: Reader’s Choice Award. Anyone can go to Dark Globe’s site and vote for her/his favorite photo from any of the 3 categories. PLEASE, PLEASE, PLEASE spread this post around to everyone you know who might want to enter this contest or who might know someone who might want to enter this contest. But wait! If you act now, you can vote for your favorite photo of all the submissions. 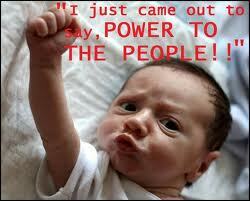 Power to the people! Wonderful! I’m looking forward to the judging process…It will be difficult, but fun! I agree that it’s going to be tough to vote. I hope it doesn’t come down to a duel. I might hurt myself. I’m not good around sharp, pointy things! 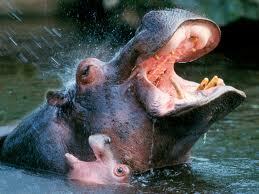 Lorna, I was just looking at some of the pictures, and we’re going to have a tough time voting on winners. They are all fantastic! Never occurred to me – you’re right, that would be creepy! I’m glad you’re going to enter the contest. Award time for you Lorna! Thanks! Just trying to drum up more entries! No, Pam, you have all week! I’ll contact you at your site. Don’t tell me. Trying to influence a judge is serious business. I’d hate for us to both end up in the blogger slammer. They could take away our high speed internet! Readers/Viewers’ Choice: So far so a clear winner in each category. Objectively (!) there is ONE who should win in two categories – bugger. Can I tell you, or would you be accused of “judging under the influence”? 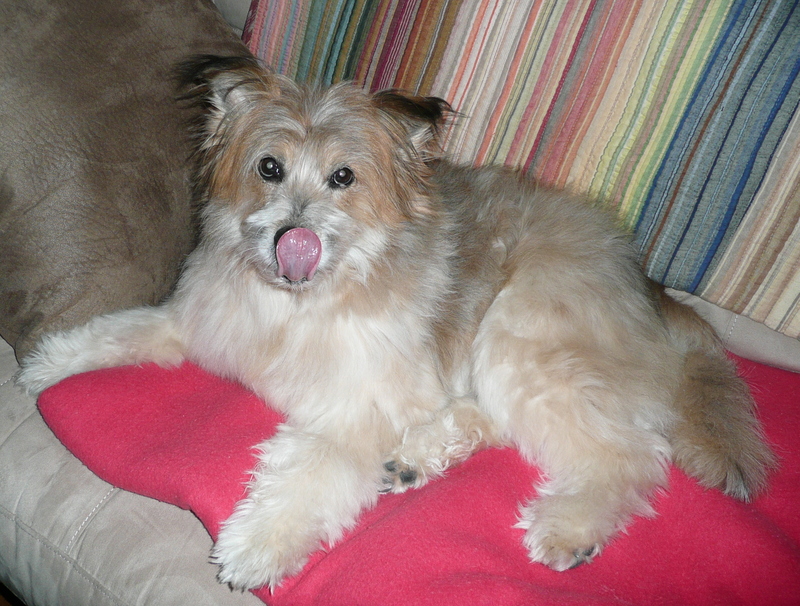 Scrappy sticking his tongue out at ya … very cute! Checked out the submissions on the Dark Globe page. 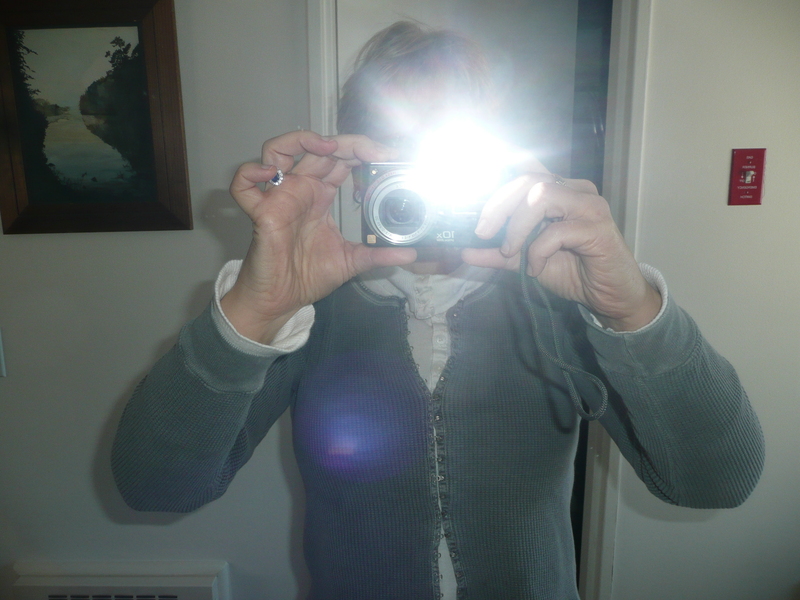 I suggest you not enter the flash/mirrors photo though maybe the Hope category would work. 😉 just kidding.